It's Natalie here today sharing with you a recent layout I created. Have I said before how much I love the Modern Mercantile collection? I'm sure I've mentioned it a time or two or a hundred ;-) What I love most is how many different directions you can take it. When you look at it as a whole it seems a happy Spring-time range with all it's browns, greens and yellows. 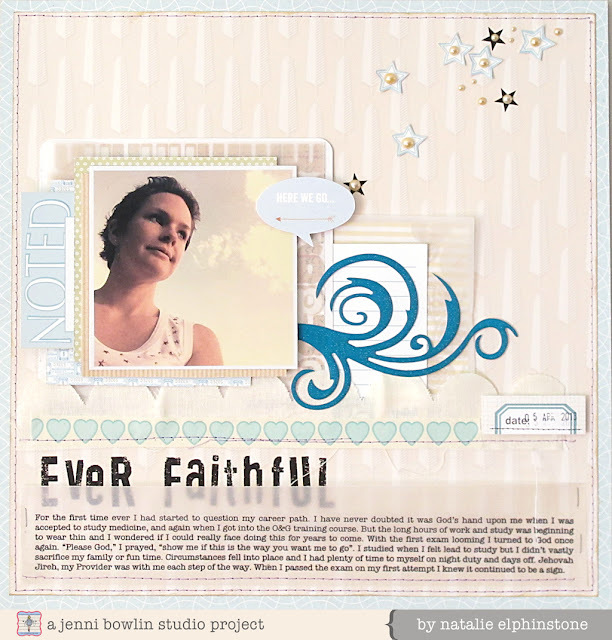 But by focusing just on the neutrals and a touch of blue I've created this layout with quite an airy ethereal vibe. 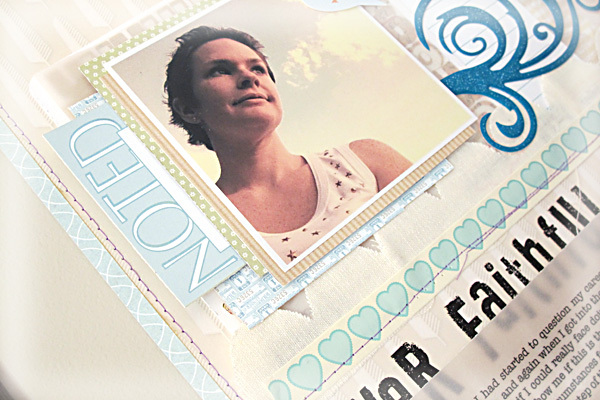 One of the current staples in my scrapbooking style is multiple photo mats. I love to layer them up with foam tape between them to create some dimension. I found that it's real easy to have a multitude of coordinating papers with a small-scale print by cutting apart the Etcetera paper. I count that as a moment of inspiration! On this relatively monotone layout I knew it was going to be important to have some focal points of contrast. For a start I was able to achieve this by using the new Printers Block Alpha Rubons for my title. They're my absolute favourite! I can only hope Jenni's going to come out with these in every colour of the rainbow in the next release because I'm never going to have enough! I also used some Rubon stars from the Canning Jar Fun pack to create balance in the opposite corner.